“User experience” is a broad term that gets bandied around at meetings and swapped with “user interface” as if the two are the same—they’re not. This confusion has probably affected your career as UX and web design roles have slowly started to overlap. Even your clients may be confused as to what exactly your job is. Like it or not, UX has a huge impact on what web designers do. You can create the best design in the world, but it won’t succeed if it’s not usable. And it won’t be usable unless you know a little UX strategy. 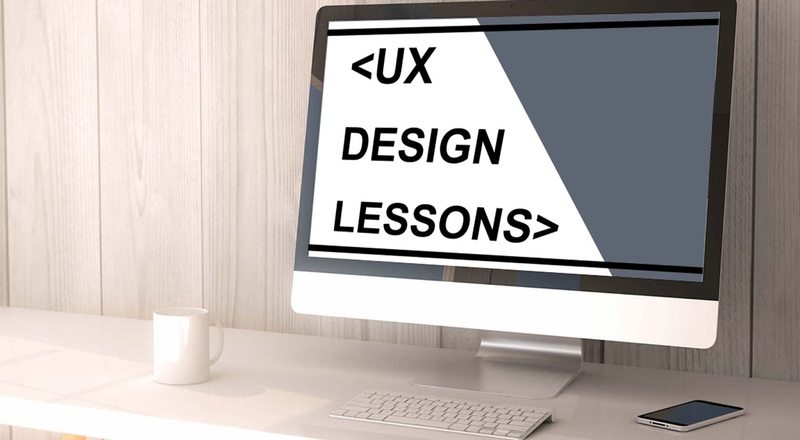 These UX lessons will teach you how to improve projects’ usability and make you indispensable to your clients. Even if you don’t interchange the terms “UX” and “UI”, you’ll likely hear your clients say it at some point. You’ll have to be able to explain the difference between UX and UI so they can understand what is, and isn’t, your job. User interface refers to the actual system the client interacts with. The layout of an iPhone’s settings menu is a user interface. User experience is about the emotions the interface evokes during that interaction; the user’s satisfaction with an easy-to-use settings menu is user experience. Essentially, UX is the totality of the emotions resulting from the UI. Good UX designers understand human emotion and user behavior patterns, because those things affect how users respond to an interface. Web design is only a small portion of UX. 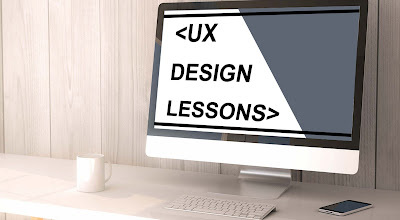 Every print design you see, product you use, and even place you go, also has UX. Eating at a terrible restaurant is a bad experience; easily opening a package is a good one. Offline UX design may seem like a different ball game—after all, creating a navigable website isn’t the same as designing a sports car for people to drive on real roads—but in reality, the two types of UX affect each other. Nav bars are a great example of how the web and physical worlds overlap. Website navigation used to be on the left side of the page, but somebody realized we prioritize information from left to right—meaning content should be on the left. By the early 2000s, nav bars moved to the right side of the viewport. If you’re a web designer, it never hurts to brush up on print, packaging, or other types of physical UX design. This cross-training expands your knowledge and helps you see projects from a fresh perspective. Art and science make an odd couple, but that’s essentially what UX is. Understanding how UX combines art and science lets you refine your design process to reach solutions more easily. UX is scientific in that it poses a problem-solution scenario in which the designer poses a theory about how to fix the problem. So let’s say the problem is an outdated site hurting sales. The designer suggests a way to update the site; through testing and adaptation, that suggestion evolves into a solution. The solution is where the art comes in. Colors, typefaces, layout, and so forth all combine to create an aesthetically pleasing whole. As with viewing art in a gallery, the design evokes an emotional response, which in turn produces an outward behavior. Every designer has dealt with clients who insisted on having things their own way. This creates a conundrum, because the client’s way may not be the only or best way to solve that specific problem. Similarly, some designers think their way is the only way and won’t listen to any other ideas—even if those ideas might work better. Rather than taking this single-minded approach, UX stems from using goal-driven design to look for the most effective solution. Let’s say your client wants to move their customer testimonials link to the top of the page so it gets more traffic. But the problem isn’t necessarily the link’s location; it’s that the link needs more traffic. You could also fix the issue by making the link more visible where it’s at. Either solution will solve the problem; being open to those options is goal-driven design. Good UX design reflects brand identity, so it requires you to stay true to the client’s goals. Once in a while, you may find yourself in a design trance. Colors come easily, type fits together, images are imaginative—and none of it matches your client’s brand identity. It’s imperative that you don’t get caught up in creating a look that doesn’t meet the client’s needs. And while that sounds almost laughable, it happens much more easily (and often) than you might expect. Good UX design reflects brand identity, so it requires you to stay true to the client’s goals. Make sure you ask questions about the brand upfront and schedule regular input from stakeholders, who will be able to tell you if you’re sticking with the brand or straying away. It sounds silly to say “design for the user,” because that’s what UX is. Yet many web designers are often the victims of their own creativity. Their designs have all the bells and whistles — and even meet the client’s expectations — but they may still not meet the user’s needs. Designing for the user requires you to do something that’s often difficult for creatives: let go of your opinion. While you may view something as best, it may not be best for that situation. To make sure you’re on the right track, you’ll want to learn some guidelines to user-driven design. A good rule of thumb is to start by researching different types of users and mapping out how they use the site you’re working on. Before you release the finished design, use A/B testing to verify that you’ve reached the best solution. Good UX design relies heavily on psychology. The cool part is, UX designers not only learn users’ tendencies – they can trigger new behaviors that lead to conversions. But there’s a right and wrong way to do it. Take notifications, for instance. They’re meant to spark a behavior, but it’s easy to forget actually doing the behavior takes time and effort for the user. Some designers bombard users with notifications at the worst times, then wonder why there’s no response. The trick is to research how users’ motivation changes throughout the day, so you can time notifications accordingly. For instance, receiving a notification on the way to work won’t do any good, because the user has a competing, and more urgent, goal of getting to work. But the same notification received on the way home gets more attention, because now the user actually has time to engage in the behavior. Your goal is to empower users with a beneficial solution; to help their day go smoother in some way. The more you play to their desires and habits, the more successful your design will be. Scrolling sends users deeper into the site and asks them to invest more time – making them more likely to convert. That’s why some designers place their calls to action at the bottom of the page, where users have to scroll to get to them. Even above-the-fold sites — which place the call to action at the top of the page to optimize the “love at first sight” principle — can promote scrolling. You can encourage users to spend more time on the site with “scroll cues,” such as an arrow that points down to the next section or partially visible text that requires users to scroll to keep reading. Before you can start solving a problem, you have to understand what exactly the problem is. You’ll want to analyze the user’s experience on your current site. Ask the right questions to find out how they’re interacting with the site now, what’s working, and what’s going wrong. If possible, get a little help from the customer service department. Collect their notes on issues clients have complained about, or listen to recordings of frustrated customers. Often, you’ll learn about design issues while customers are ranting about what went wrong the last time they tried to use the site. UX isn’t just about the icons users click or the colors on the page. Almost everything visitors see is content – whether that’s writing, images, or videos. Yet many designers completely skip talking to the content team or developing any sort of content strategy. A great-looking site is essentially useless unless you back it up with strong content. So on your next design, start asking questions. Are you redesigning a site that already has a voice – and if so, how should you incorporate it? Or are helping set the tone for a completely new site? The goal is to create content that’s easy to absorb and process. You ultimately want your users to feel as if a friend is guiding them through the site, because a friend would know exactly what they want and show them where it is. Inconsistency is one of the biggest problems users deal with. Yet many designers actually try to make their designs appear more creative or memorable with intentional inconsistencies in color or style. Let’s say you used a nav burger on your homepage, while another landing page features a dropdown arrow. Both icons technically do the same job, and the homepage has its own unique look. However, users developed an impression of your site while they were on the homepage. Seeing another type of navigation on other pages conflicts with their initial impression, creating confusion. Users who feel confused are more likely to get frustrated—even if they don’t have the vocabulary to say why—and they won’t come back. A consistent site, on the other hand, lets them take care of their business without pondering your stylistic choices. UX design has evolved a lot over the last decade, as the internet shed its gawky teenage phase and morphed into a sophisticated adult. Gone are the days of too-bright colors and nav links scattered across the page. Today’s site is streamlined for good UX. So why mention eliminating pointless page elements? Because “pointless” has gotten a lot more subtle. People aren’t making the same gaudy mistakes – well, in most cases. Today, a pointless page element might be a call to action with two commands instead of one, or an image that draws the eye away from where it should go. To get rid of these things, you’ll have to learn how to gauge an element’s value. A good way to check for useless elements is to get into the user’s mindset – ask yourself how each element makes you feel and whether it helped you reach your goal.